How do you cram over five hundred years of science and history into a small book of just over 200 pages and not only make it easy to read but as understandable as Reader s Digest? Well, that feat has been accomplished by author Robert Sungenis in an easy-to-carry paperback book on a 6 x 9 frame. 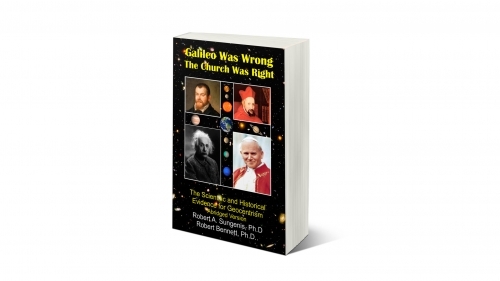 Whereas his massive three volume set, Galileo Was Wrong: The Church Was Right, now in its ninth edition, is over 2400 pages long, the best and boldest of that famous set has been distilled down for you into less than one tenth the size. The title is, Geocentrism 101: An Introduction into the Science of Geocentric Cosmology, and is hot off the presses from CAI Publishing, Inc., as of November 2013. 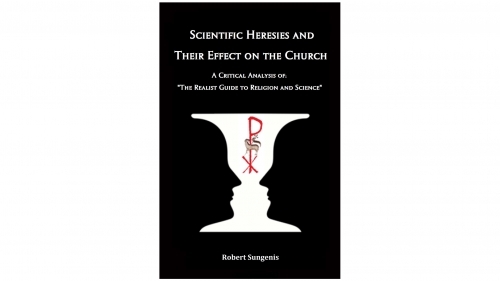 Although the cover says that the book is Recommended for High School, College and Adult, in actuality it is for anyone who has had a hunger to know what all the fuss is about concerning modern heliocentric versus geocentric cosmology. And believe me, it is a real page-turner! If you were ever reticent to read a book because there were too many words per page, or because it had a tiny eye-straining font and very few pictures and diagrams, well, never fear, Geo 101 is here! Whereas the average paperback novel has over 500 words per page, Geo 101 has an average of 200, and all of that is in a big 12-point font so that even your far-sighted grandfather or even the partially blind can read it! As for pictures, believe it or not, there are 450 of them, which amounts to an average of two per page. Many of the pictures are photocopies of the pages of the books from which various quotes of famous scientists have been extracted, so that you, the reader, can see for yourself what the author actually said and the context in which he said it. As regards equations, there are only six, and only three are needed to be explained, which we do for you in simple language. If you can add 2 + 2 and get 4, you can understand our explanation of these equations. Best of all, much of the mystery of cosmology is eliminated since the book comes with a CD-ROM that contains 66 detailed animations depicting everything from the geocentric design of Stonehenge to stellar parallax to the astounding alignments of the cosmic microwave radiation with our Earth. There are simply no better cosmological animations available in the world today. Additionally, the CD contains one of the most sophisticated stellariums available. This will allow you to see the starry cosmos, complete with constellations and planetary movements, from an Earth-based viewpoint. 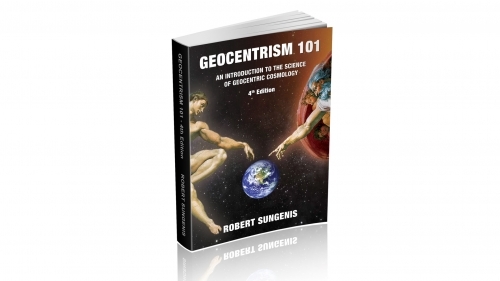 The CD also contains a PDF version of the book, which has the full-color images of the 450 pictures in Geocentrism 101. 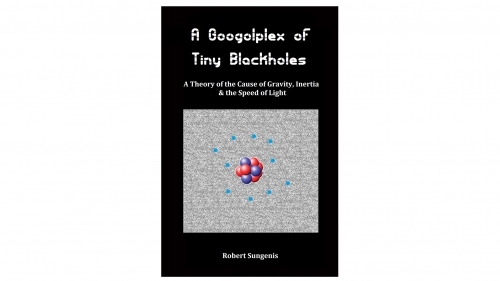 The book also contains photocopies of the actual hand-written letters from famous scientists such as Albert Michelson, Hendrik Lorentz, and George Fitzgerald, which we obtained after many hours of search in the microfiche files at the Niels Bohr Library in College Park, Maryland. We also have a rare photograph of Georges Sagnac that we obtained from the Bibliothèque Ulm Lettres et Sciences in France. This is a significant find since there are no pictures of Sagnac on the Internet. Now, you might think that a book and CD like this would cost about thirty dollars or more. But we have made it as affordable as possible. For only $19.95, the cost of an outing for two at McDonalds, you can be the owner of one of the most concise and sophisticated treatments of geocentric cosmology available today. This book is an excellent resource for that personal someone you have been trying to educate to geocentric cosmology but who would never pick up a huge book to read. It is an excellent resource for all homeschooling families. It is an excellent resource for all high school and college curriculum's who want their students to know what the alternative positions are in modern cosmology and astronomy.